In opposition to Zionist plans to impose a Jewish state on their land, the Palestinians embarked on a revolt in the form of a general strike. Palestine was governed under a British mandate which was attempting, unsuccessfully, to reconcile the legitimate interests of the indigenous Palestinians with the aspirations of Zionists around the world to establish a Jewish state in Palestine. 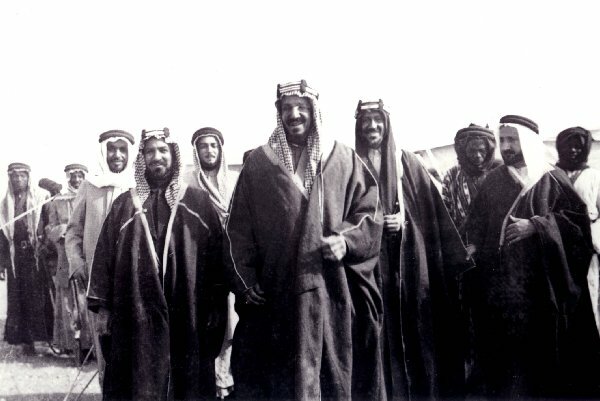 As the leading Arab head of state of his time, Ibn Saud was deeply moved by the plight of the Palestinians and alarmed by the increased immigration of Jews into Palestine which had started in 1928 and which was a primary cause of the Arab Revolt.